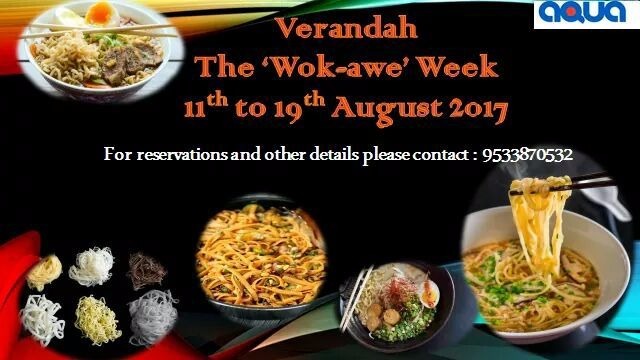 What started as the Wok-Awe week is now set to be extended. 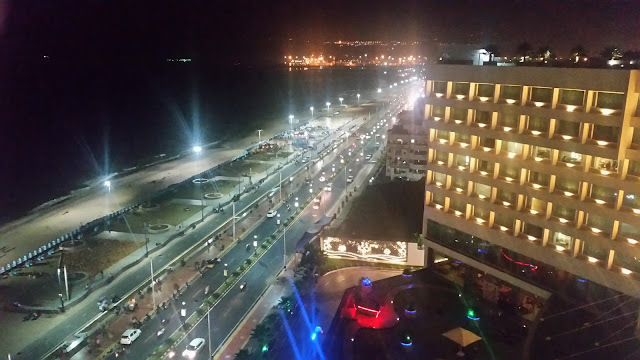 The short a-la-carte menu for this promotion has about seven dishes, priced extremely economically between Rs 350 to Rs 500. 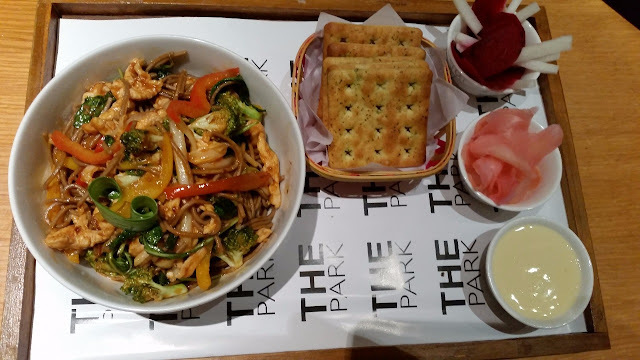 I commend the way the restaurant is pricing the dishes in the affordable category – it will help to draw in many more food lovers to try out the promotion. The festival has two preparations from Korea. I tried out the Gochujang Goksu. Gochujang is the spicy pepper paste from Korea, which can even challenge many a Hyderabadi palate. The fermented paste was used in the sauce for wheat noodles resulting in a sharp taste which I loved. The noodles were served with prawn crackers, kimchi and some light soya sauce. If you fancy your ability to handle spicy food, this is the dish you should try in this festival. The other Korean dish in the promotion is Japchae, cellophane noodles served with shredded veggies, soya and kimchi. The Japanese noodles showcased here is Yaki Soba, which is primarily a street food. Here the sauce was sweet and a little spicy with a combo of soya, barbeque and tomato sauce. The buckwheat noodle preparation served with Japanese mayo and gari, is a complete dish in itself, especially with the variety of vegetables in it, and of the three dishes that I tasted on this day, this had the best looks. 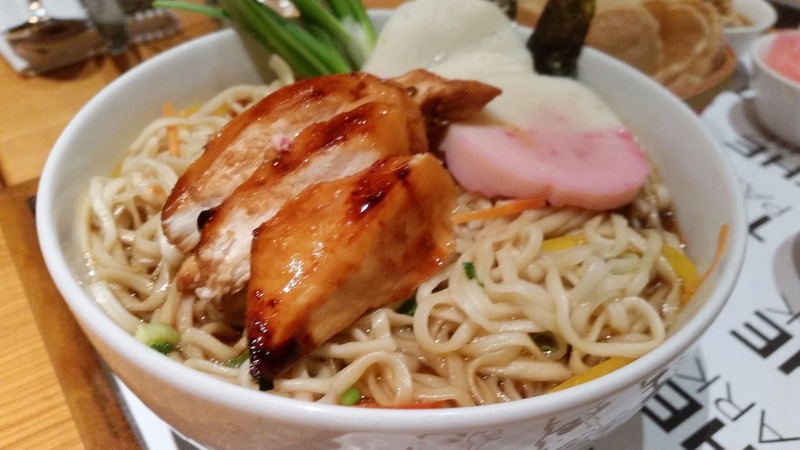 The last and the best dish of the day was Verandah’s Classic Ramen. Ramen here was served in an abundant amount of a proprietary broth which was flavoured with fish and bacon, giving it an offbeat taste. The simple dish was soul food augmented by a slow poached egg (prepared over half an hour) which was added to it. Kimchi and gari were the accompaniments of this dish, apart from a remarkable ginger scallion sauce which when added to the soft egg and ramen really upped the flavours. 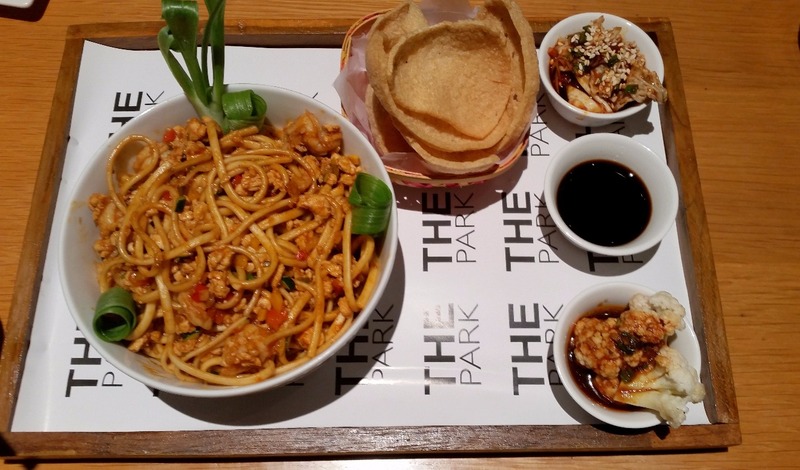 Some of the other dishes in the promotion are Pad Thai and Singapore Chilli Noodles. One that looked interesting to me was Hokkien Mee, a Chinese and Malay preparation with stir-fried egg noodles and fried noodles. Overall, a very interesting promotion especially for the lovers of Pan-Asian food. 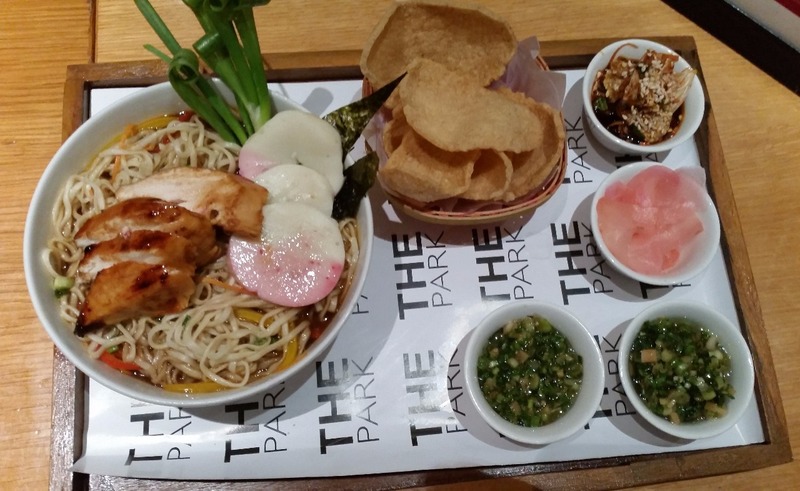 The differentiator here is that each dish has been carefully chosen to showcase the diversity of noodles preparation. Also, the menu is short and sweet, and too many things have not been tried. Thumbs up to this one.